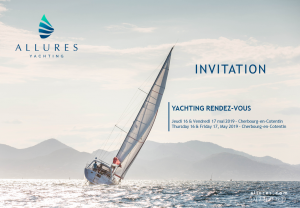 Join us in Cherbourg, France May 16th & 17th for this years Yachting Rendez-vous with the Allures Yachting team. An event around discovery and sharing. 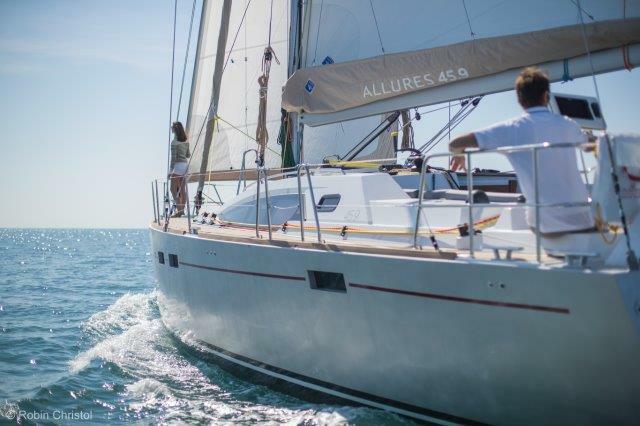 The Allures Yachting range available for sea trials. The production team presents and discusses your projects. The shipyard visit with boats in different stages of construction, open just for you. If you would like to join us for this event please complete the ‘Contact Us’ form below, there will be an Allures 39.9 and 45.9 for sailing as well as the first 40.9 to see in the yard. Later in the year we will be inviting you to join us in September for the La Rochelle Boatshow in France then in Germany for the Dusseldorf Boatshow January 2020. If you can’t make our sailing days but would like to be kept up to date with details of which yachts will be at these shows just let us know.